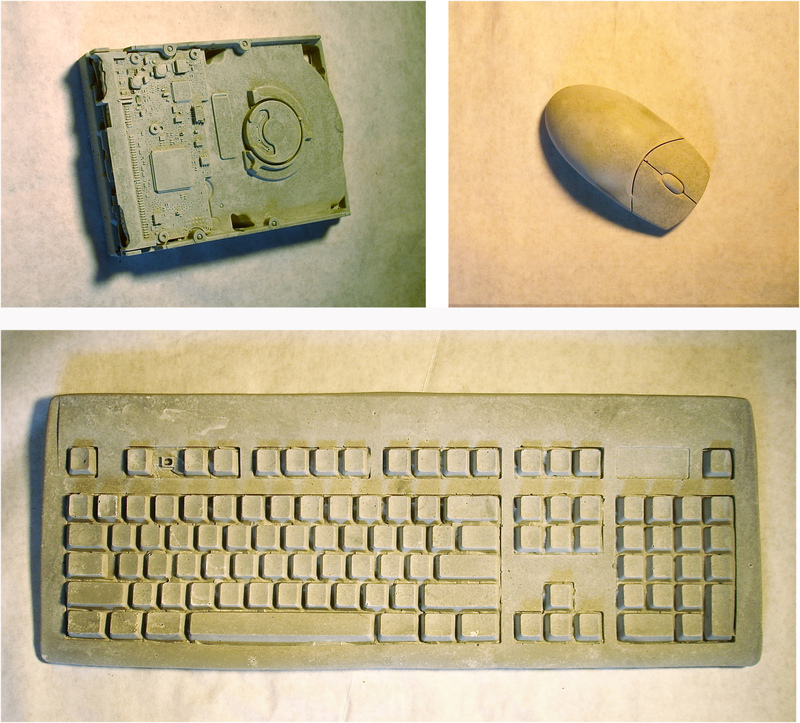 Technology unifies us as human beings through a series of common objects that we may not consider as “unifying.” For the last 2 years, I have continued to make a series of flexible rubber molds of outdated keyboards, hard drives, a mouse, and other related hardware. I have been casting them in water and freezing them ( mostly for photo documentation ) but the public pieces need to be more permanent, so I have been casting them in cement. The concrete color is perfect as it renders the very noticeable objects as dormant, dead, and frozen. The general message is to activate the absence of their presence, and to make people aware of their ephemeral nature. We put emotions and sentiments into the words we type on those keyboards, and our hard drives hold our images, ideas, words, imagination and so forth, only to one day be “discarded” and or transferred. It makes me think, how does this idea connect directly to life?